The feel-good factor has returned to the property market in Battersea and Brixton following the Conservative Party’s surprise victory in the general election. David Cameron’s return to 10 Downing Street promises to clear away the clouds of uncertainty that hung over the housing market in the months before polling day and create an increase in both demand and supply of properties for sale. We expect vendors who have been sitting tight, especially in the higher reaches of the market where the threat of Labour's mansion tax has certainly had a negative effect on sales, to start putting their homes on the market in ever increasing numbers. In election years, there are typically 15% more transactions than what would be expected in a non-election year for at least six months after voters go to the polls. And a rise of up to 30% in the number of transactions, when compared with the market before the election, also typically means a rise in property values as the housing sales sector becomes more heated. In fact, the disappearance of the threat of the Labour Party’s mansion tax could see the values of high-end properties jump 20% over the next five years. If the market in prime central London is heating up, this can only be good news for other parts of the capital, including Brixton and Battersea. But it is not just owners of homes worth more than £2m who will benefit from a Tory government. David Cameron has outlined a raft of measures designed to increase the number of homes in London and promote confidence in the property market. These include reintroducing Margaret Thatcher’s right-to-buy housing scheme that would allow housing association tenants to buy their own homes at less than the market price. Tenants in London can expect discounts of just over £102.700, with the money raised from selling off housing association properties being used to build more new affordable homes. In March, the Prime Minister announced that more than 200,000 “decent, well-built homes with gardens” sold at a 20% per cent discount will be made available to first-time buyers under a Tory government. He also promised that the Conservatives will accelerate a plan to provide cut-price starter houses to under-40s in order to ensure that “everyone who works hard can have a home of their own”. And the Help To Buy ISA scheme, which will provide first-time buyers with a £3000 bonus towards their first property, should also help stimulate the market. Spring is an ideal time to launch your property on the market. And with confidence levels their highest in a number of years, we predict that good quality homes will achieve values beyond the expectation of many vendors. 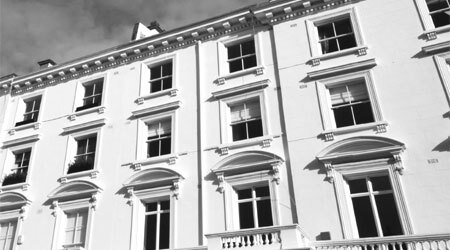 If you are considering entering the property market, please contact Eden Harper in either Brixton or Battersea to receive an up to date appraisal on the value of your home.